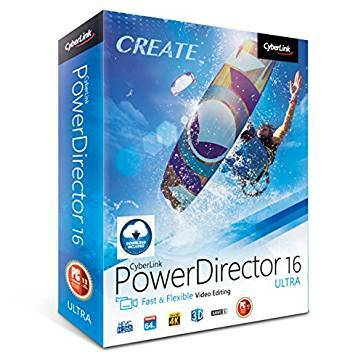 CyberLink PowerDirector 16 - download in one click. Virus free. Download the latest version of CyberLink PowerDirector 16 with just one click, without registration. It comes with a safe official web installer for Windows. 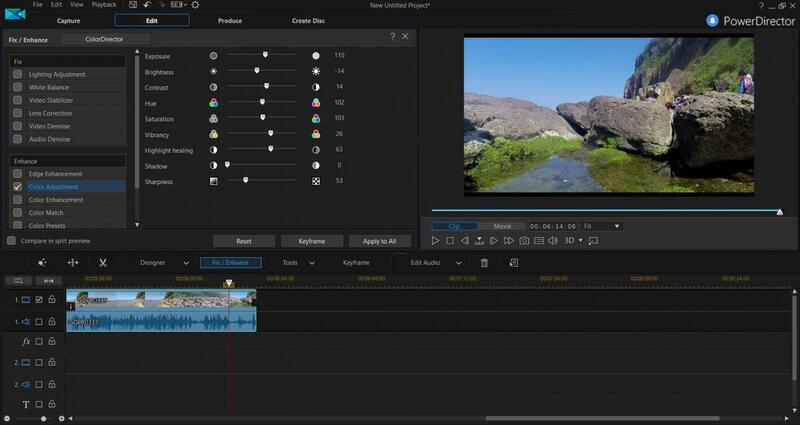 CyberLink released a new version of video editing software - CyberLink PowerDirector 16. 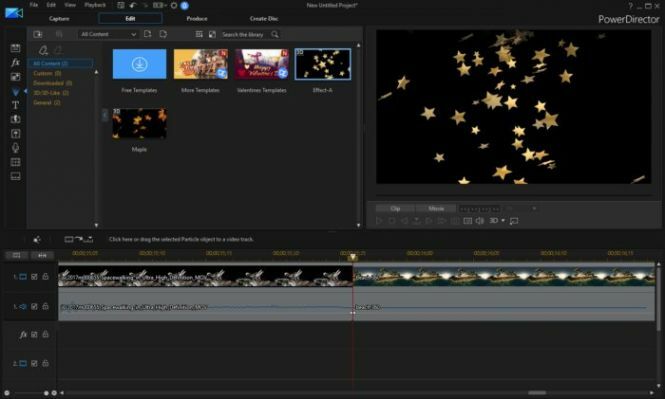 It is a fast and capable media editor suitable for beginners with built-in template packs, various video effects, and a ton of editing tools. The new version has more tools to work with colors in your film. For example, it has Intelligent Color Correction feature that adjusts lighting an saturation of the video and changes its colors to achieve a consistent and vivid color scheme. If you use multiple sources for your video and all of them were shot in varying circumstances with varying cameras, this tool will be crucial to give your final film the needed consistency. Then, CyberLink PowerDirector 16 has some unique packs of video effects, designed to capture the festive spirit in all its glory. Use Wedding Pack to create an enchanting romantic story or Holiday Pack to remember all the Christmas magic. Also, the new version of CyberLink PowerDirector has a built-in wizard to design video collages. You can combine up to seven videos into one, using provided layouts. This tool comes in handy if you have several short clips wit memorable moments - from a travel or a celebration - and they paint a better picture as a whole. Finally, CyberLink PowerDirector 16 has more plugins and templates than ever, making video editing easy for everyone. Its intuitive interface also helps a lot: every effect and editing tool you need is a couple of clicks away. 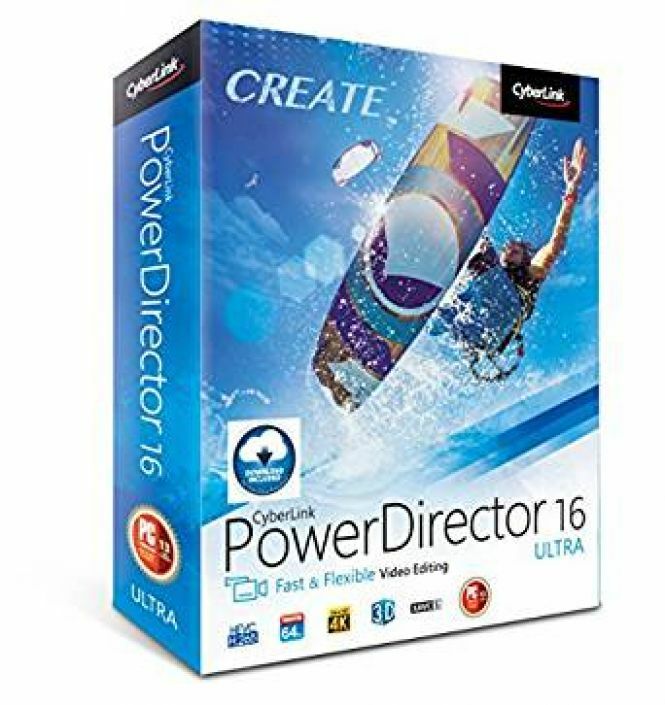 Add all of these to the fact that CyberLink PowerDirector 16 works with high-resolution videos and 360-degrees VR videos, supports all the popular media file formats, and produces vertical mobile videos - and you will get one of the best video editing solutions for amateurs.